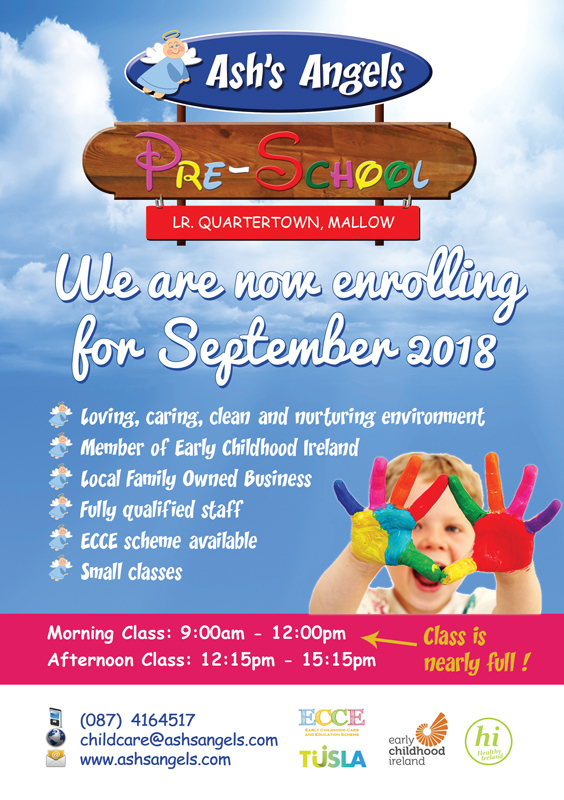 Welcome to Ash's Angels Preschool, Lr Quartertown, Mallow, County Cork. Ash’s Angels is a small family run pre school service which coincides with the primary school calendar. It is independently owned and operated. We actively create an atmosphere to support and encourage freedom of expression and offer a wide variety learning opportunities and experiences on a daily basis.